Brexit has been compared to many things, but the idea of being sold a big juicy burger and ending up with a flat, badly made one is a novelty. “We don’t want to end up with the flat burger,” says Ollie Olanipekun, co-founder of agency Superimpose Studio, which is running the latest, and most striking, addition to the Brexit debate. 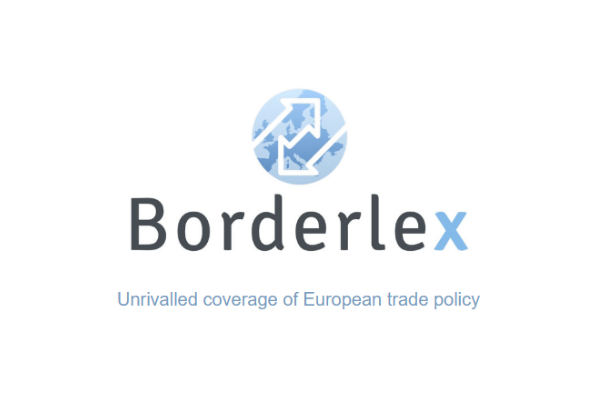 Superimpose were originally contacted by Best for Britain, the anti-Brexit campaign group founded by Gina Miller and now receiving financial backing from billionaire philanthropist George Soros, to come up with ideas for an anti-Brexit campaign. After several rounds of meetings and much enthusiasm on both sides, that came to nothing. Olanipekun complains that Best for Britain was dominated by too many “ex-politicians and heads of communications, and a lot of it was going over the same political jargon we heard in the campaign”. 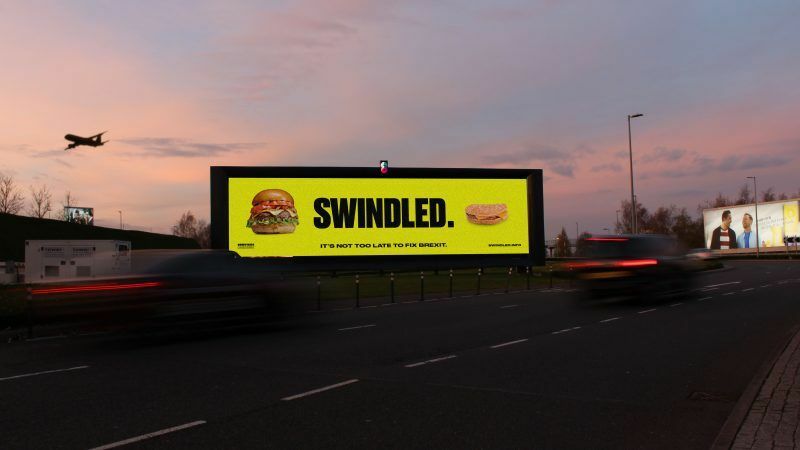 Instead, he decided to run his own campaign – ‘Swindled’, a national billboard campaign which depicts the two burgers against a bright yellow background. ‘It’s not too late to fix Brexit,’ it warns. “It had to be simple and provocative,” says Olanipekun. So why the burger analogy? “It’s about expectations versus reality. Everyone can grasp it,” he says. An estimated 64% of 18-24 years voted in the 2016 referendum, of which around 75% are thought to have voted to stay in the EU. The demographic split, with people over 55 years old voting by large majorities to leave the bloc, prompted something of a ‘youth revolt’, and a sense that British youth had been ‘betrayed’ by their Brexit-voting parents and grandparents. The demographic was finally tapped into by Labour leader Jeremy Corbyn ahead of the last general election campaign in May 2017. “It’s our future that’s at stake,” says Olanipekun. But what are their politics? Nor is he intending to add ‘Swindled’ to the plethora of existing think-tanks and campaign groups working around Brexit, although he would be prepared to “work with them”. “We want to give people very simple steps on how they can get their voices to be heard,” he says. The company says it hopes that people will download, share and ask for the artwork. “We’d love to see people taking it for themselves and using it in any manner they see fit, placards, handouts at marches,” says a Swindled spokesman. “We’re not precious about owning it, we really want people to take it and run with it,” he adds. Buying billboards in prime locations is not cheap. Olanipekun says it has been paid for out of the studio’s own coffers. The billboards will run until 25 March. The billboard campaign is focused on areas where millions of commuters and shoppers will be unable to avoid them, including the Brent Cross shopping mall in North London, Heathrow’s Terminal 5, the busiest section of the M25 motorway, Leeds and Birmingham. While the campaign groups on both sides of the ‘Leave’/’Remain’ divide tend to be staffed by former political advisors and spinners, Olanipekun says his agency is “youth-focused and millennial” and is working primarily to allow young people disillusioned with the political process to have their voices heard. The fear of Britons losing the right to live, work and travel in other EU countries is his key concern in the Article 50 negotiations. “It’s a lot harder to find work in the UK now and so the idea of being able to work abroad is important. Having that taken away would be another slap in the face,” says Olanipekun. For older settled types may I suggest “Come Home” would be a better anti Brexit wordplay.